The Digital Finance Institute is pleased to announce the winners of the 3rd Annual Canadian FinTech and AI Awards. The Canadian FinTech and AI Awards honour and recognize banks, innovators, investors, service and law firms, cybersecurity tech firms, impactors and thought leaders across Canada in the financial technology and artificial intelligence space. 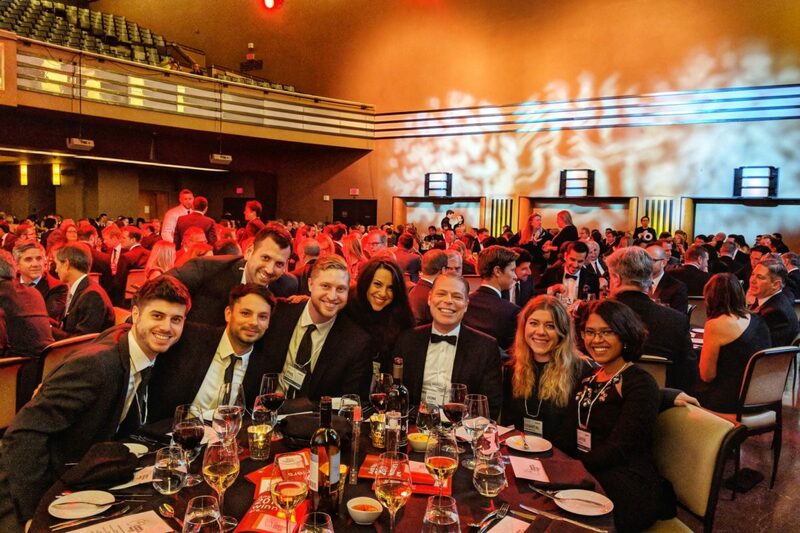 This year’s Gala Awards Ceremony was held on November 27, 2017, at The Carlu in Toronto and was attended by over 500 people from across Canada and over 2,300 people in FinTech and AI registered for the Networking Cocktail Party. The MC of the Gala Awards Ceremony was Geoff Cher from Wildeboer Dellelce LLP and the Award presenters included Kevin O’Leary from ABC Shark Tank, Jim Treliving from CBC’s Dragon’s Den, Helene Desmarais from the Centre d’Entreprises et d’Innovation de Montréal and Jos Schmitt from Aequitas NEO Exchange Inc.
Canada’s Prime Minister, The Honourable Justin Trudeau, prepared remarks for the 3rd Annual Canadian FinTech and AI Awards, available here. The Digital Finance Institute is a think tank for financial technology, AI, law and innovation.